Product prices and availability are accurate as of 2019-04-23 09:09:03 UTC and are subject to change. Any price and availability information displayed on http://www.amazon.com/ at the time of purchase will apply to the purchase of this product. 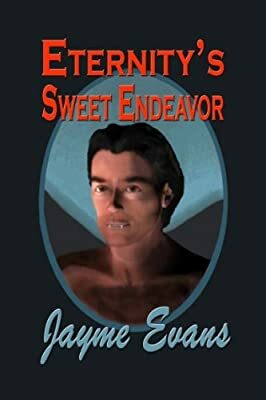 We are currently offering the popular Eternity's Sweet Endeavor (The Eternity Series Book 3) for a reduced price. Don't miss out - purchase the Eternity's Sweet Endeavor (The Eternity Series Book 3) here now! Willa wants truth. Her brother’s life has been changed forever by an experience she couldn’t even remember. A vampire has made her forget, but now she wants to confront the creatures and prove that they are not as dangerous as her brother believes. Once she meets Demitri again, she proves to herself they are worse. Once pledged to the Knights Templar, Demitri plans to serve humanity even after his existence changes to one of endless nights. He has met Willa Hays as the enemy of his blood child, but now Demitri must protect her from his evil brother. Never did he think it would turn out to be such a sweet endeavor.